True goldenrod paper is made from a dye which is an acid/base indicator. This paper turns bright red in bases such as ammonia, baking soda or washing soda and returns to bright yellow in acids such as vinegar or lemon juice. 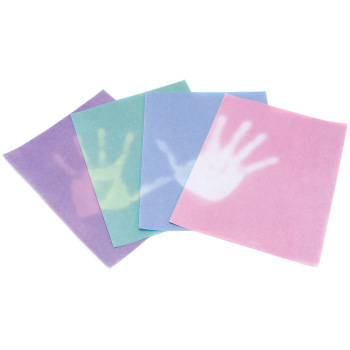 Make your own indicator paper or use to preserve hand prints. Instructions included. Color-changing goldenrod paper has become very difficult to find. Ours is guaranteed to be color-changing. Standard US Letter size, 8.5" X 11". Read more on our Blog - Goldenrod Paper Does WHAT?! I buy this product every year for Halloween. 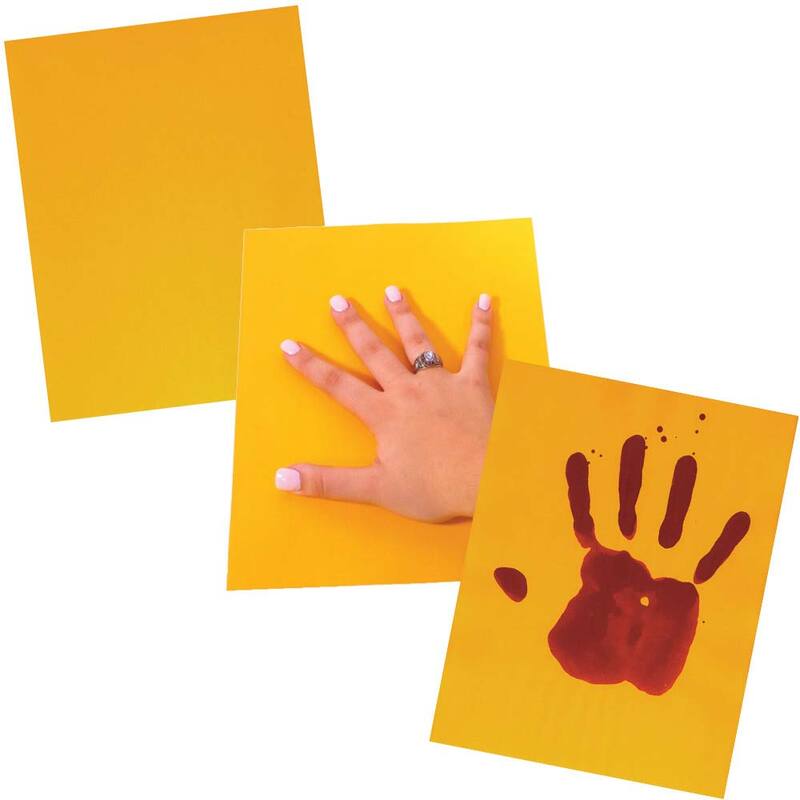 We make 'Bloody handprints' or messages and learn the science concepts around the activity. My 7th graders LOVE it! This product worked well in my classroom. Excellent learning experience with my students when writing their sight words with a Q tip! Absolutely perfect for the Cause/Effect lessons in my Concrete Comprehension Strategies book. My order arrived in a timely manner and I am please with the quality. It is a bit pricey, but I solved that by cutting the sheets in two. Wonderful to find this paper available again! Writing with electricity is my favorite demonstration - wet paper with salt water, place on metal sheet (aluminum foil), connect sheet to positive side of a voltage source (9V battery or wall wart), then write with a wire connected to the negative side of the battery or wall wart. The electrolysis reaction creates (tiny amounts) of hydrogen gas and lye at the negative electrode, raising the pH and turning the paper red. Precisely what I needed when I needed it. Does what it is supposed to do. What a great product for my Halloween Science unit! My students were absolutely amazed when I dipped my hand in "water" and the "blood" came oozing out of my hand after I slapped it on the goldenrod! Of course we eventually discussed the science behind it. What a hit! Thank you, EI! Works GREAT! It would be better if it worked exactly like pH paper. But it's good enough. I use the goldenrod paper to teacher/review the scientific method. I use it day one. The students have their first lab experience, a homework assignment and a name tag for their desk. I am hoping they will also get it in card stock. This product reacts exactly as promised. It makes for a very dramatic object lesson or chemistry demonstration. This was a great way to bring our science project to life. My kids enjoyed watching the paper turn colors and staying that color. The goldenrod paper is fantastic! We use it for a variety of experiments and just finished using it for science valentines. If I could give this a 6 I would! I was almost out of this wonderful paper when I got your email that you had it again. This paper is perfect for teaching pH. I cut it into strips for my students so they can test to see which materials are acids or bases! I work at a preschool. We wrote with baking soda and water on the goldenrod paper. My kids loved watching the paper change colors! With the shipping and handling charges, import charges, and exchange on top of the listed price, each sheet amounts to 40 cents. Although pricey, it does work! You are the best! I searched far and wide to find the correct type of paper. I will recommend you to every teacher who attends my workshop. Had this paper taped on the board for a few days before the demo so the students would be use to the paper being there...large beaker filled with a basic solution, lecturing and "accidentally" dropped something into the beaker...fished out the thing and let out a yelp, spun around and splashed "blood" on the paper...great fun! 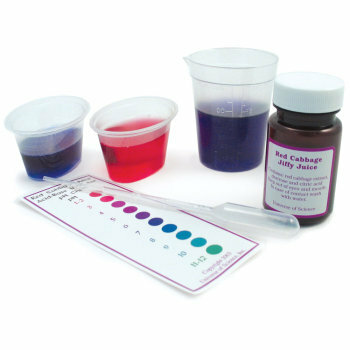 I cut mine up the same size as litmus or pH paper and have students use it in lab as such. Who Took the Cookies From the Cookie Jar? What a great way to introduce the scientific method, process, and skills. The curiosity and imaginative, creative investigation it brings to the classroom is stellar. While I searched and searched for cheap golden rod paper at the office supply stores (and was running the risk that it was not real goldenrod and would not work as an indicator)-- I was delighted to find it here at Educational Innovations. Save yourself the time and money-- just buy it here. Works just like it is supposed to work. I started the first day of class last year by asking chemistry students to predict what would happen if they used clear, colorless 'ink' (looked like water) to write on the paper. Their predictions varied, but the reactions from students were unanimous when they tested their predictions: they were all wowed and excited! I have my students make valentines with this paper. I used individual sheets as gifts for other teachers. They had great fun, apart from the educational aspect. Worked like a charm! I used it for a first day activity in chemistry and had my students write their names on it and use it as a name plate so I could learn their names! 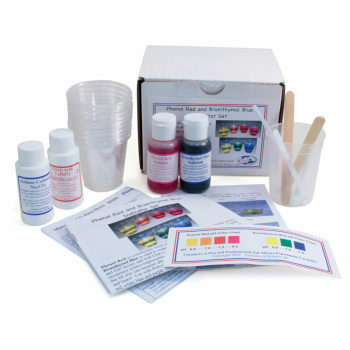 Educational Innovations offers some of the best products for educators. The student can use the Goldenrod Paper in an investigation to plan, and conduct an investigation to describe and classify different kinds of materials by their observable properties. The student can use the Goldenrod Paper in an investigation to develop a model to describe that matter is made of particles too small to be seen. The student can use the Goldenrod Paper in an investigation to make observations and measurements to identify materials based on their properties. The student can use the Goldenrod Paper in an investigation to develop models to describe the atomic composition of simple molecules and extended structures. 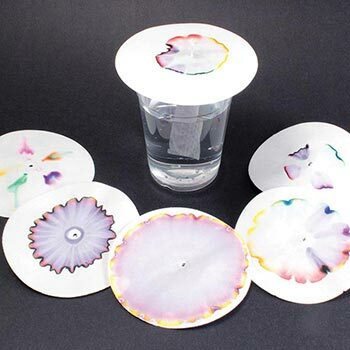 The student can use the Goldenrod Paper in an investigation to Electrochemistry Kit to develop a model that products and describes changes in particle motion, temperature, and a state of a pure substance when thermal energy is added or removed. The student can use the Goldenrod Paper to develop a model to generate data for iterative testing and modification of a proposed object, tool, or process such that an optimal design can be achieved. The student can use the Goldenrod Paper in an investigation with the periodic table as a model to predict the relative properties of elements based on the patterns of the electrons in the outermost energy level of atoms. The student can use the Goldenrod Paper to plan and conduct an investigation to gather evidence to compare the structure of substances at the bulk scale to infer the strength of electrical forces between particles. The student can use the Goldenrod Paper in an investigation to communicate scientific and technical information about why the molecular-level structure is important in the functioning of designed materials. The student can use the Goldenrod Paper in an investigation to develop and use a model of two objects interacting through electric fields to illustrate the forces between objects and the changes in energy of the objects due to the interaction. The student can use the Goldenrod Paper in an investigation to design a solution by breaking it down into smaller, more manageable problems that can be solved through engineering. Color-changing goldenrod paper has always been made with a dye that, when exposed to a base, changes from bright yellow to blood red. The student can use the Goldenrod Paper in an investigation about acids and bases. The Goldenrod Paper can be used as indicator paper. By applying bases and then acids, students can make observations and gather evidence. It will also produce inverse reactions, when an acid is applied to the red area of the paper. The Goldenrod Paper is to be used with the Goldenrod Electrochemistry Kit. Goldenrod paper, salt water and a little electricity make a really stunning demonstration of electrochemistry Each sheet is useful for one lab. It can be dried and used again, but best results are with a fresh sheet. Students are absolutely blown away year after year that a commercial product like this Goldenrod Paper has such 'magical properties'! Activities with the Goldenrod paper are amazing activity for Cause and Effect; Crosscutting Concepts.